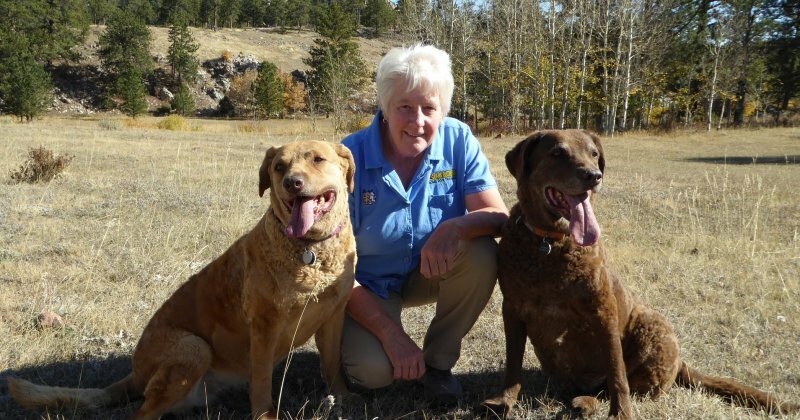 The Best Dog Training in Northern Colorado, including Fort Collins, Loveland, parts of Southern Wyoming. Dogs are always communicating with us. The way to enrich your relationship with your dog or begin a relationship with your puppy is to remove any barriers to that communication. Our best approach is to learn their language and not expect them to understand English, German, Chinese or any other human dialect. The Bark Busters method of dog training capitalizes on using a motivational communication tool to which all canines immediately understand and respond. I’ve been teaching and training the Bark Busters method for more than 12 years. What stands out is not just the results of the training but how easy it is for people to learn and use. Keeping it simple for you also means it’s going to be simple for your dog. I work with you so that you are the one educating your dog. It’s your relationship with your dog that absolutely is most important. Natural method dog training is what I teach and train -- dog-friendly dog training in your home. I want to help you and your dog! I partner with you to train your dog and work with all aspects of dog education and behavioral issues. My priority is to put you in a position to change your dog’s behavior to fit your life and your goals. I provide options for the best training for your problems. Our life of your dog support guarantee is world-renowned, and we’ve offered this service for nearly 30 years. I work with any issue, any dog and at any age. I will come and work with you at your home where your dog spends 90% of its time. I start puppies at 8 weeks and will provide a pre-visit to your home to get you ready for puppy. The training will be designed to address the issues you are having with your dog. I provide discounts for households with more than one dog so all dogs will be trained. I work on all behavioral issues: aggression, house soiling, separation anxiety, basic obedience, barking, jumping, mouthing, leash pulling to name a few. Please check out my client testimonials and review our clients' experiences with Bark Busters and our training techniques. Contact me today! I’m here to help you! I have been very pleased with the training received from Carol. Gunner (Goobs) is now letting me take him for a walk instead of the other way around. The WaggWalker works great. What a joy it is to not be pulled around! I'm looking forward to continuing our training on recall. Thank you for your patience, Carol! Wonderful trainer and we have immediate success. Echo doesn't bark any more, is learning to come when called ad she is doing less jumping. Nibbler has gotten better every day, and I have learned not to give in to his manipulations. Too many trainers use 'shock' methods. We need more trainers like you! Carol is wonderful! She doesn't sugar coat anything and it is obvious that her only agenda is keeping owners and pets together through proper training.